While it may not be the grungy, art-driven neighborhood it once was, the East Village has still managed to maintain much of its character. St. Marks Place continues to house a handful of all-night tattoo parlors; hole-in-the-wall dives still crack open cans of PBR for under $5 a pop; and despite the influx of $17 cocktails in the neighborhood, a wide range of pubs, lounges, cafés, historic hangouts, and speakeasies offer a diverse range of drinking options. 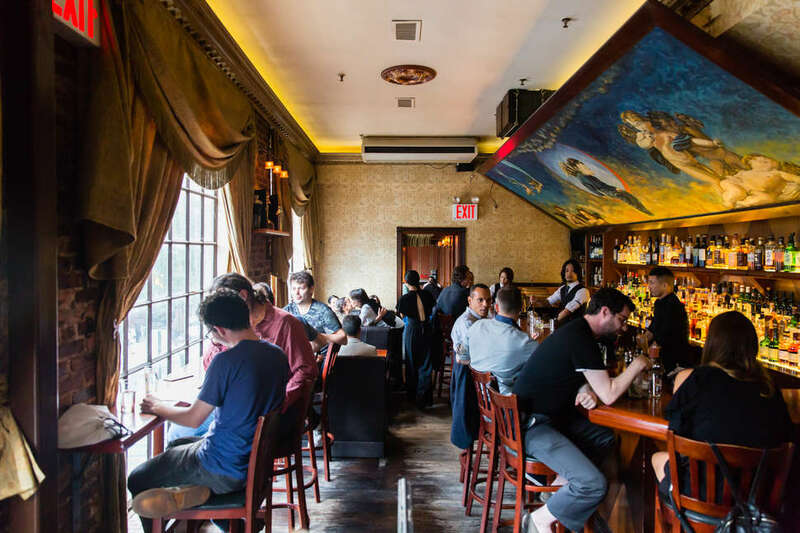 From St. Marks Place to Alphabet City, here are the best places to drink in the East Village. After shuttering in 2012, this classic hangout was revived with a brand-new menu of serious cocktails, without losing its laid-back, nostalgic kitchiness. 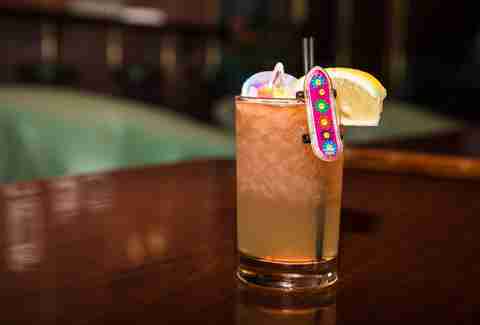 Sit at the U-shaped bar illuminated by party lights or relax on a green banquette as you sip fruity trinks adorned with tiki umbrellas, plastic dinosaurs, and other fun accoutrements. A Cubano served warm on a glazed doughnut and disco fries add to the indulgent playfulness. “Let’s meet at the Wayland,” you’ve probably heard someone say at least once throughout your tenure in NYC. That’s because everyone loves this bar. 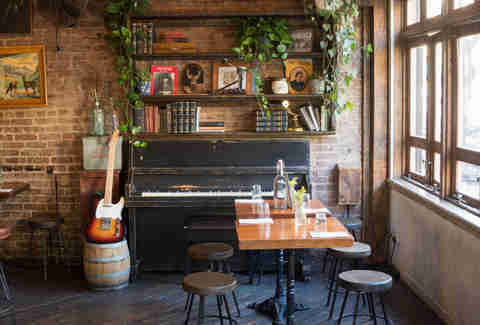 The rustic space appeals to pretty much everyone, whether you want to sip a beer with your head in your phone or order a round of Garden Variety Margaritas ($12) shaken with kale juice and ginger (for health!) before you start dancing to the live music. 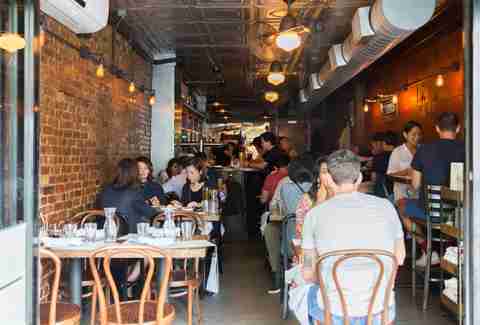 The unpretentious scene offers a perfect place for first-time Bumble dates, college roommates who haven’t spoken in six years, or coworkers who need to unwind. 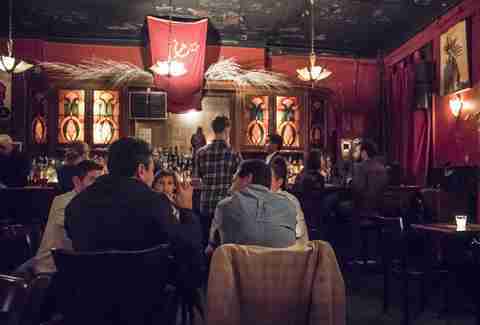 Most of their beers aren't offered anywhere else in the city, and you'll certainly never find them in the same place. And while rare sometimes means pricey, take advantage of half-pours to sample more of the perpetually rotating roster, which you can check out here. 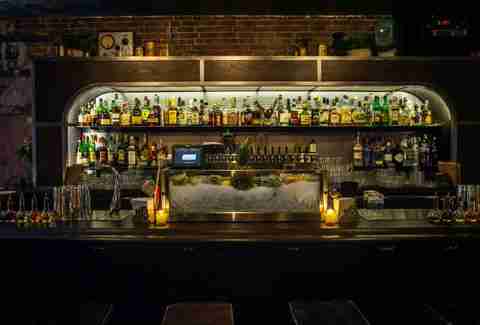 Slinging an extensive sake menu since 1993, Decibel is New York’s OG sake lounge. 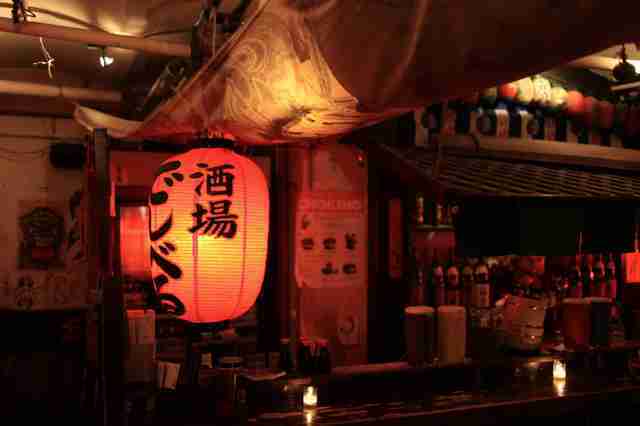 The speakeasy-esque basement bar, adorned with red lanterns, ceramic cats, and countless sake bottles, offers over 100 types of traditional and unique sake, along with shochu, plum wine, Japanese whisky, and classic cocktails. Munch on edamame, popcorn chicken, and other small bites while tasting your way through the sake list -- and don’t be shy about asking what’s what. Best beer bar: ABC Beer Co. This low-key Avenue C bar welcomes in a nightly crowd with a well-curated, rotating list of beers, meat and cheese plates, and plenty of communal picnic table seating. Growlers, cans, and rare bottles are also sold in the front of the bar, should you want to take your beer drinking elsewhere. 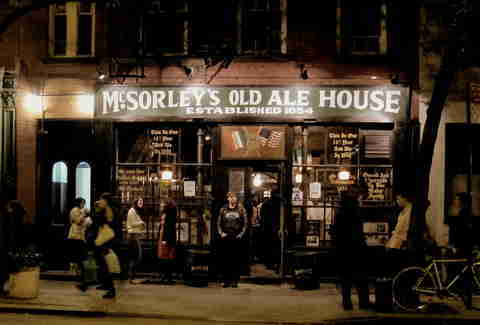 Dating back to 1854, this old-school pub withstood Prohibition and still reigns as one of America’s oldest bars. It also maintained a strict no-women policy until 1970 -- and still has a seriously bro-heavy vibe -- but if you’re looking for a taste of old, old New York, this is it. 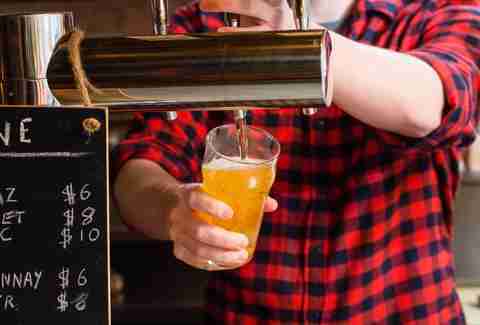 You have two options here: light or dark beer -- and keep in mind that it’s cash-only. An unmarked door inside Japanese restaurant Village Yokocho leads you to this semi-secret bar, which has a strict no-standing policy. Take a seat at the bar under a dramatic Renaissance-style painting and indulge in a menu of slightly Asian-inspired cocktails, like the ever-popular Mack the Knife with orange-and-spice infused gin, ginger, maple syrup, and spices. Can’t get in? 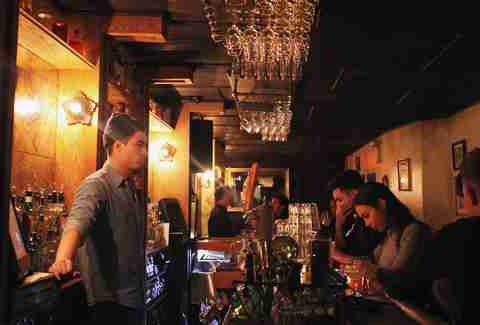 Head to Angel’s Share 2.0, located at 4 Stuyvesant Street, on the second floor above another Japanese restaurant, Sharaku. Illuminated subtly by red lights, this upstairs dive-like bar boasts a literary vibe, hosting readings nearly every night of the week. While it’s typically too dark to actually whip out a notebook, you can expect to socialize with literary comrades or listen to local writers present their latest work. The Soviet theme doesn’t fully extend to the liquor menu -- you’ll find your standard roster of beers here, in addition to well drinks, and just enough vodka to make your terrible Putin impression seem funny. This Cuban-themed bar -- brightened by teal walls, canary yellow shutters, and beachy music -- is known for its wide array of sharable punch bowls. 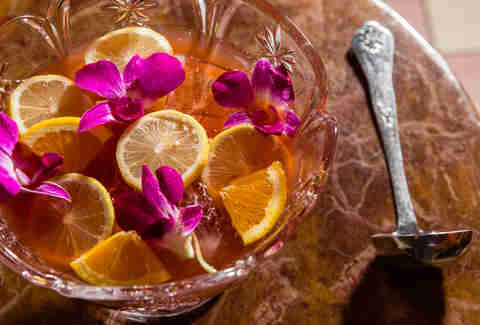 Choose from a dozen types of bowls ($44 for two drinkers and $120 for five or more), which range from the sweet Isle of Manhattan Fizz (rum, gin, coconut, pineapple, lime) to the more refined, sangria-like Ernesto (rum, lime, Fernet-Branca, Rioja). Pair that with vegan-friendly Latin American fare -- like empanadas stuffed with veggies and dairy-free mozzarella and Cuban-style charred corn with cashew cotija -- and be sure to stop by daily from 5-7pm for half-price punch bowls. Let the bartender talk you through the East Coast and West Coast oyster offerings of the day and offer up a beer pairing suggestion before you dive into the menu at this local-favorite seafood spot. The best time to stop by is during the daily 5-7pm happy hour, when six oysters and a craft beer go for just $12. Don’t let the inevitable wait deter you from entering this doorman-guarded spot. 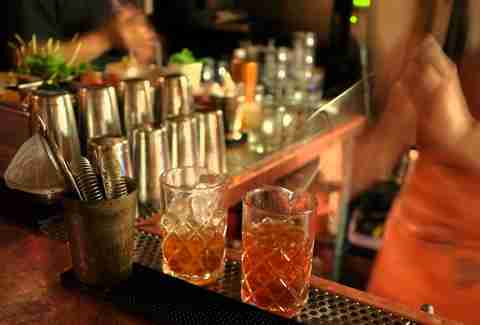 Considered one of New York’s most influential bars, this 10-year-old establishment spurred the accessible craft cocktail craze. 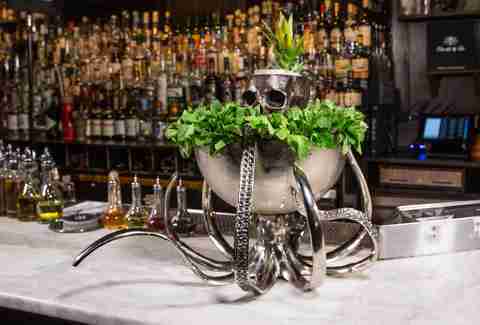 Not recognizing all of the spirits or ingredients in each drink is part of the fun -- obscure piscos, aquavit, and other booze from all over the world prominently feature on the menu. When in doubt, go for a classic, like a Martini served in a small coupe and presented with a chilled carafe to keep the rest of your cocktail cool as you slowly sip. 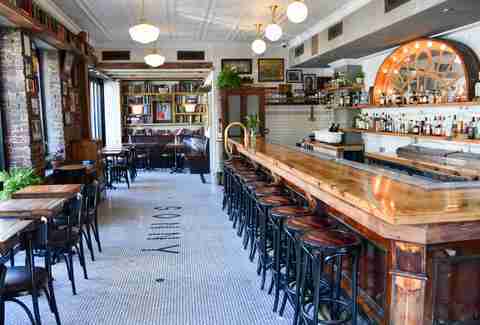 Book it from the office to the front bar at The Eddy, where am expertly crafted daily daiquiri, Venetian spritz, or Sazerac is $8 before 7pm. After you loosen up your wallet, relax in the small but cozy bar with a range of unique cocktails (for $15), served with floating gold flakes, dehydrated citrus wheels, or mini bottles of extra booze. 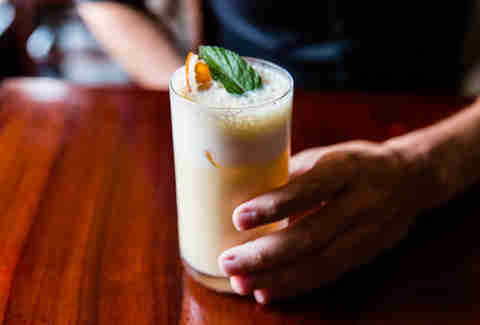 The menu is “seasonally spontaneous” so expect frequent changes; when in doubt, tell the bartender your favorite drink and let them riff on your personal tastes. Exclusively serving wines on tap keeps Lois’ wine list affordable (no bottle shipping costs! ), sustainable (no bottles to recycle!) and consistently interesting (more taps, more choices!). The stylish white-and-wood-paneled space resembles an apartment you’d envy on Instagram, and less confident wine drinkers can feel confident befriending the knowledgeable and friendly bartenders. From the same team as The Wayland, Good Night Sonny is another go-to neighborhood spot that serves booze and food until 4am. 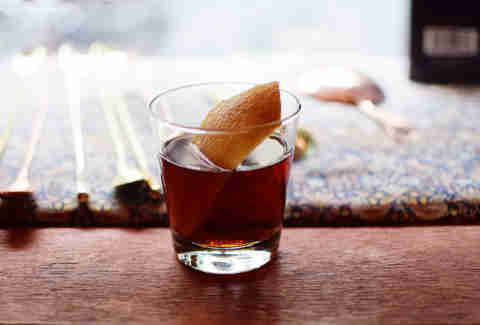 Wrap up your night up at a red leather stool with a $12 riff on a classic cocktail -- like the 1970s-style Disco Old Fashioned with bourbon, bitters, orange, and Luxardo cherries -- to be paired with a grilled fish sandwich with pastrami spices. Boilermaker may be best known for its namesake beer and shot combos, but the bar really stands out for is its burger: a juicy double (or single) patty topped with optional bacon and cheese, plus the unique addition of Atchara -- traditional pickled vegetables from the Philippines that add an interesting sweet & sour taste. Be sure to pair yours with a Sixpoint and a shot of Johnny Drum Private Stock. 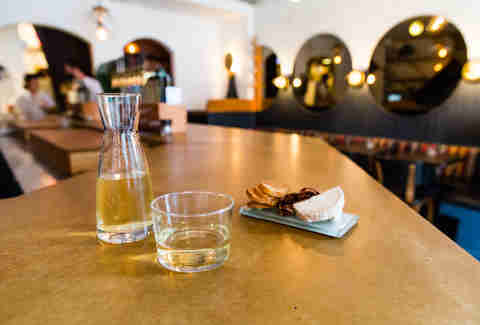 This small cocktail lounge differentiates itself by prioritizing bitters: those tiny drops of infused boozy extracts that are usually an afterthought to most cocktail drinkers. 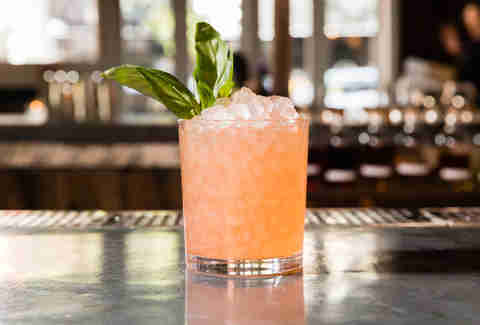 The cocktail list (around $15 a pop each) ranges from light bodied to full bodied creations, like a lighter paloma-style drink combining tequila with aperol and grapefruit bitters or a Manhattan customized to your specific palate. 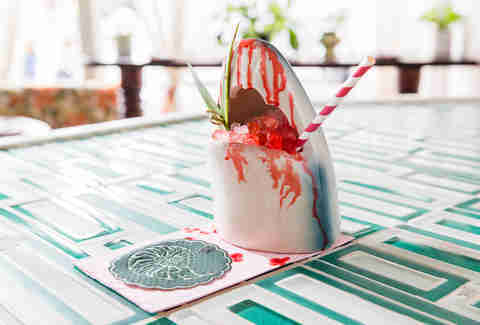 Ceramic shark-shaped mugs dripping maraschino blood characterize this Polynesian-inspired bar run by Death & Co.’s Ravi DeRossi and Cienfuegos’ Jane Danger. The corner spot is indeed a mash-up of elevated cocktail culture and a beach vacation, as evidenced by a fluorescent flamingo sign illuminating cans of beer topped with bright flowers and cocktails adorned with flaming limes and metallic straws. Melissa is a writer based in NYC who slept in a windowless closet in the East Village for two years. Follow her on Twitter and Instagram.